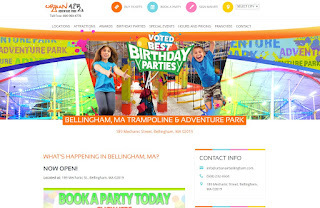 "Though the local Urban Air Adventure Park franchise opened on March 17, anticipation had been building for some time before then. “Every night before we’d opened, we would see five or 10 cars driving by and looking in,” said co-owner Chad Darling. When the trampoline and family amusement facility had its grand opening, fellow co-owner Andy Powell said, that excitement had reached a fever pitch. "The inbound trains are full on weekday mornings. 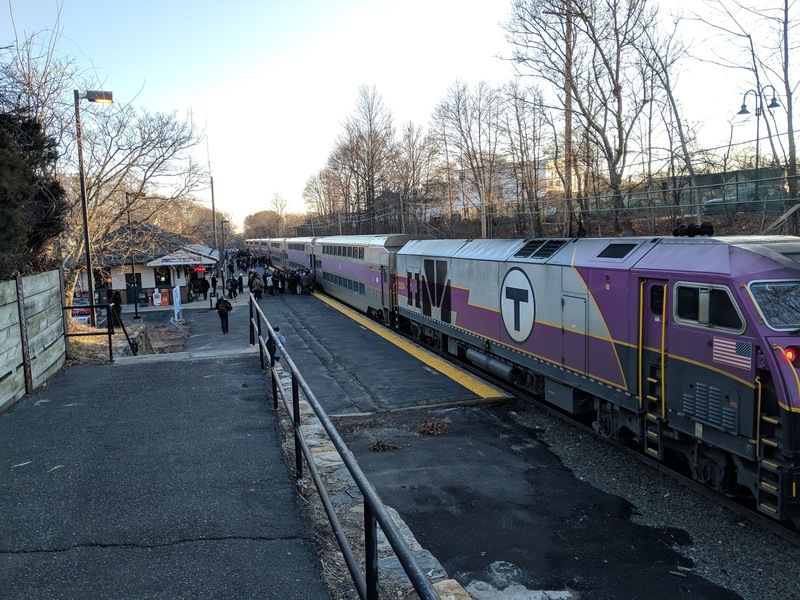 Now Keolis and the Massachusetts Bay Transportation Authority are trying to get passengers on the outbound trains at the same time, embarking on a new marketing campaign to encourage reverse commuting and leisure travel on the commuter rail. Walker said about 90 percent of the roughly 125,000 daily journeys on the commuter rail are taken by 9-to-5 commuters to and from Boston." 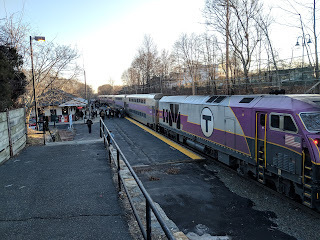 Editorial Note: As a regular Franklin Line commuter, I believe that if the MBTA/Keolis would focus on improving the ride, the ridership will increase. With reliable transportation available, folks will use it. With a poor record, why?